Picasso’s silent instrument resembled no sculpture ever seen before. In 1914 the artist reiterated his fragile papery construction in a more fixed and durable sheet metal form. Eric Vaarzon Morel building a new flamenco guitar. This Flamenco Picasso is a unique guitar in Design and sound. This design is based on the Picasso's impression of the Flamenco guitar as exhibited at the MoMa Museum of New York. 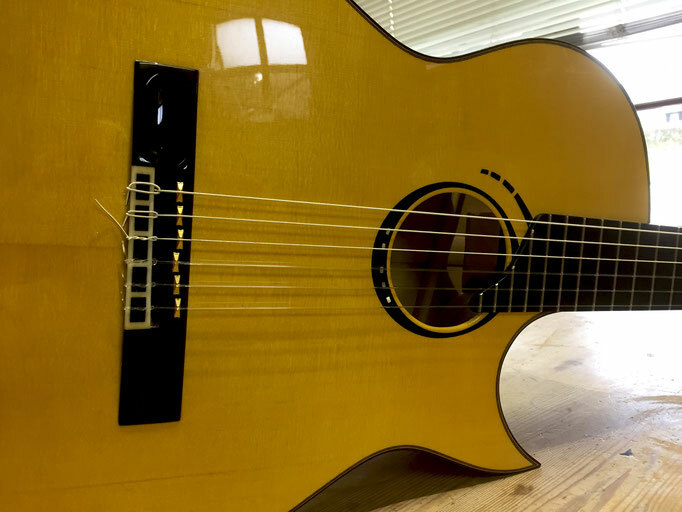 I used the headstock impression as well as Picasso's idea of the soundhole Rosette. For the inlay concept at the stringholder on the bridge I was inspired by a design of great artist Henri Matisse. Flamenco Blanca or Negra. Also deliverable is a Flamenco with Cutaway as designed for Al di Meola: "La Porta". 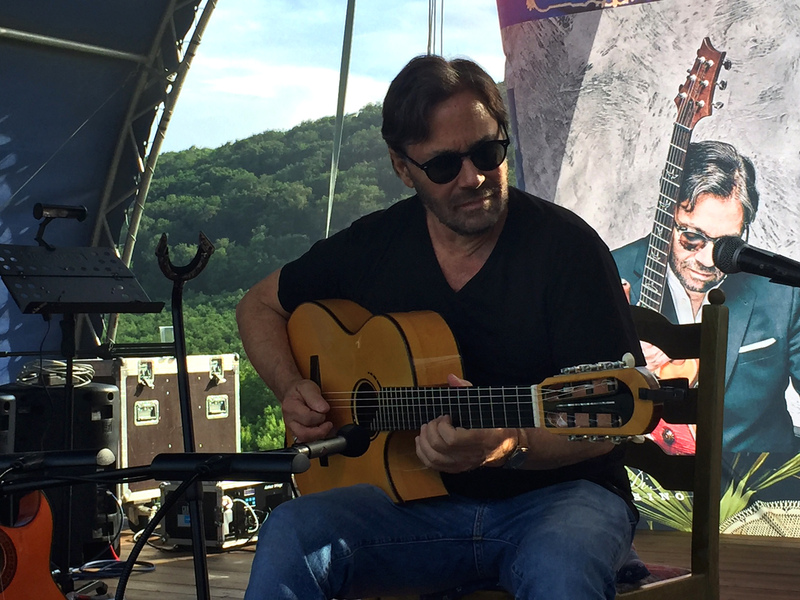 Just recently I made the "La Porta" for Al di Meola.